Five independent magazines and a weekly newspaper have been charged by Ethiopia's Justice Ministry, a move that may add to the long lists of shuttered publications and Ethiopian journalists in exile. In a press release issued August 4, the ministry accused the journals of publishing false information, inciting violence, and undermining public confidence in the government, news reports said. The ministry said it pressed charges after running out of patience with the publications for "encouraging radicalism and terrorism." The state broadcaster aired the ministry's announcement, but none of the publications received the charge sheet, local journalists told me. The six independent publications are Afro Times, a weekly newspaper, and magazines Addis Guday, Enku, Fact,Jano, and Lomi. All are popular alternatives to the state-run press, which espouses an increasingly positive narrative. Local journalists and news reports said the charges could be a way for the ruling party to silence critics ahead of elections expected in May 2015. Repeated calls to the Justice Ministry and a government spokesman went unanswered. The ministry's charges are not unexpected. In February, the pro-government Ethiopian Press Agency, a state-controlled news wire, conducted a study analyzing the content of the publications and concluded they were responsible for inciting violence and upholding opposition viewpoints, according to local news reports. Many local journalists at the time said they feared the study would be used as a pretext to target the publications later. "It's a strategy the government uses when they want to stop a newspaper," Habtamu Seyoum, an editor at popular magazineAddis Guday, told me by phone. "They will prepare an article claiming that a journalist or media house should be closed. The next step is to jail or close the media house; it's done as a sort of formality." The Justice Ministry's charges reflect a trend of authorities silencing critical media. Since 2009, the government has banned or suspended at least one critical independent publication per year, according to CPJ research. Addis Guday stopped publishing on August 9. Several staff went into exile shortly after the government announcement, fearing imminent arrest. CPJ research shows their fears are likely justified. "We had police surrounding our offices, insults printed by the government press, constant phone threats--and now [these charges]. It was just too much," Addis Guday Deputy Editor Ibrahim Shafi told CPJ. A week before the staff members fled, police raided their offices twice in one week, ostensibly to investigate financial records, he said. The country's politicized justice system coupled with the ruling party's near zero-tolerance approach to criticism has led a steady flow of journalists to flee the country. CPJ has directly assisted at least 41 journalists fleeing Ethiopia since 2009, and the total number of exiles is likely higher. Those who have fallen out of favor with authorities, whether from independent or state media, feel exile or imprisonment are their only options. Authorities arrested another Addis Guday editor, Asmamaw Hailegeorgis, in Aprilon terrorism charges, and arrested photojournalist Aziza Mohamed in July on vague accusations of incitement. Ethiopian authorities have a penchant for sentencing journalists to jail after presenting charges, no matter how spurious the charges may be. 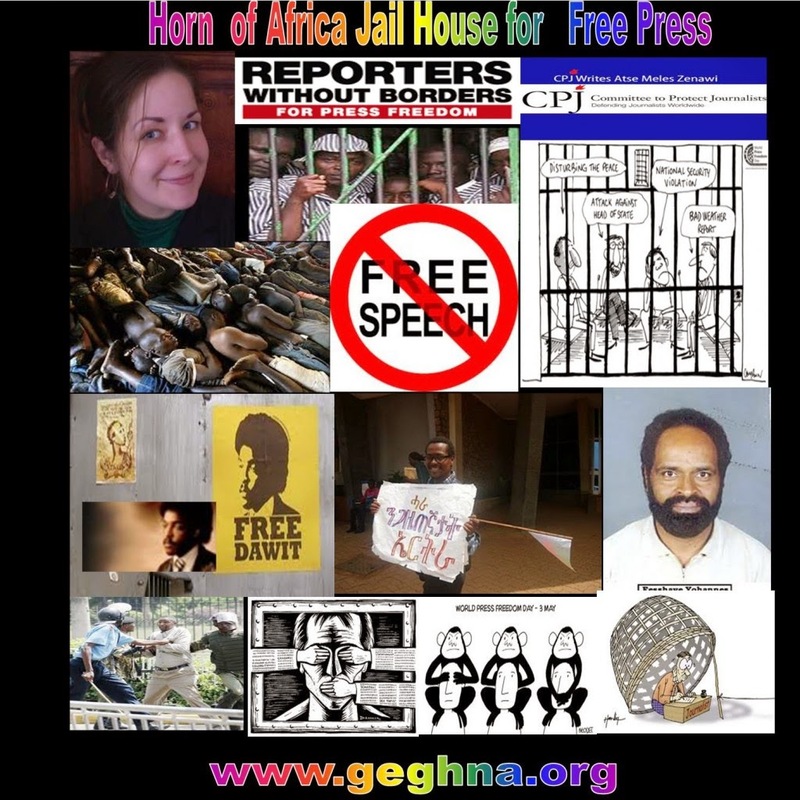 Data collected from the registrar of Ethiopia's Federal High Courtsuggest 95 percent of journalists accused by authorities are found guilty, according to TrialTrackerBlog.org, which publishes news about detained journalists in Ethiopia. Lomi ("Lemon") failed to print on August 8 and is unlikely to do so again, local journalists told me, because printers fear publishing anything that has fallen out of the ruling party's favor. Last month, police searched Lomi's offices and accused the staff of working without a license, a charge they denied, local journalists said. According to the state-run Addis Admas, all but one of the magazines failed to publish recently. A court in the capital, Addis Ababa, summoned the general managers of three publications--Fact, Addis Guday, and Lomi--on August 13, but only the general manager of Lomi appeared, according to news reports. Local journalists told CPJ they expect the other three publications to be summoned to court soon. CPJ was not able to reach journalists from Afro Times, Enku, Fact, or Jano. If these publications close down due to this latest government challenge, Ethiopia's meager circulation of weekly independent publications--roughly 60,000 for a population of 90 million people--will decrease further. There is only one television station, run by the state, and out of five radio stations, three are staunchly pro-government. The state-run telecommunications company is the sole Internet service provider for a country with the second lowest Internet penetration rates in sub-Saharan Africa, according to the International Telecommunication Union. With limited independent voices, voters' access to critical news sources and informed debate ahead of Ethiopia's May 2015 elections may be negligible. The ruling party would probably not want it any other way.